Cooking for some is an enjoyable part of everyday life. Whether it is done professionally in an upscale restaurant or at home in our own 5-star kitchens, there is something about taking a group of products and transforming them into a healthy meal. As cooks, we transform these products into a work of art. Rochelle Decosta Edmonds is what we’d like to call a food artist. Rochelle amazes us each time she posts one of her signature dishes. From mesmerizing strawberry cheese cakes to Cuban-styled crab legs, Rochelle gives us a lesson in dish presentation to gaze upon. 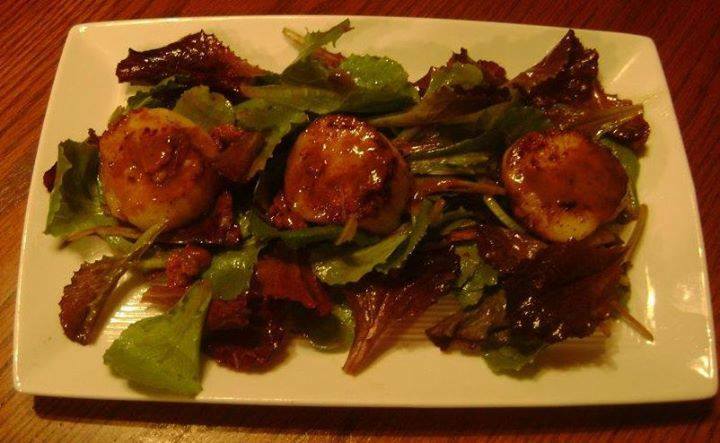 Rochelle’s Seared Scallops with Wild Greens and warmed Bacon Vinaigrette Dressing. Residing in the beautiful Myrtle Beach region, Rochelle’s propensity to crank out meals that make our eyes convince our stomachs that we need that dish is no surprise. Living in one of South Carolina’s top tourist attractions helps nurture the standard of good food and great fun. 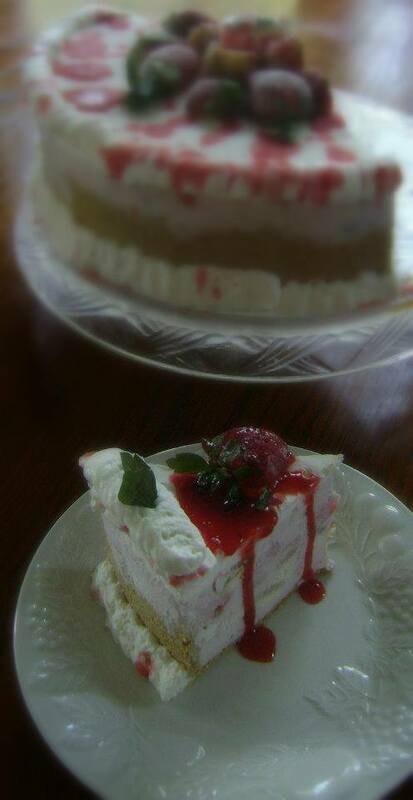 This Strawberry Cheesecake Ice Cream Cake is almost too beautiful to eat. But, we’re sure we can manage! If given only 10 minutes to prepare a meal, Rochelle told us at The Unknown Cook that an omelet was the first thing that comes to mind. She likes the idea of an omelet in such little time because it is quick and easy and you can practically add anything to it. More than that, Mr. Edmonds is a raving fan of Rochelle’s delicious omelets. Since joining our group in early July, Rochelle has proven that she can cook anything. “I love to make dishes my own. You can give me a recipe and I will change it to make it mine,” says the all-star cook. We have been thoroughly impressed with what Rochelle shares with us. Her dishes are well presented and inspiring to all of us. Here is a look at a few of Rochelle’s other dishes. 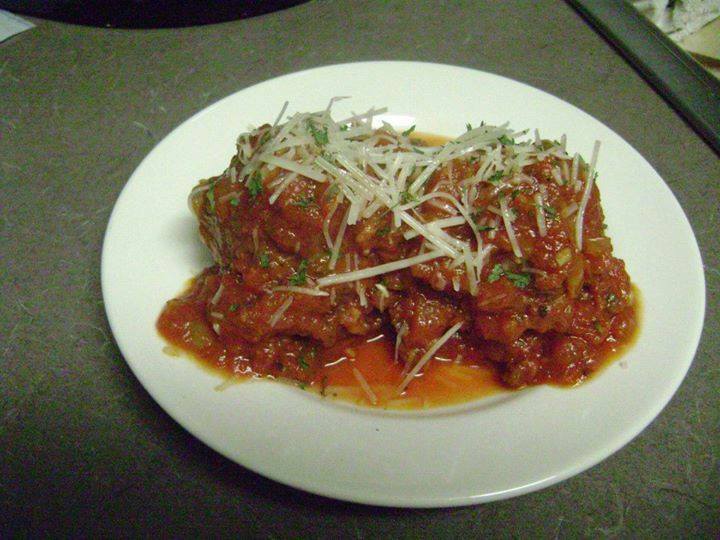 Beef and Pork Meatballs with a hearty home-made sauce. 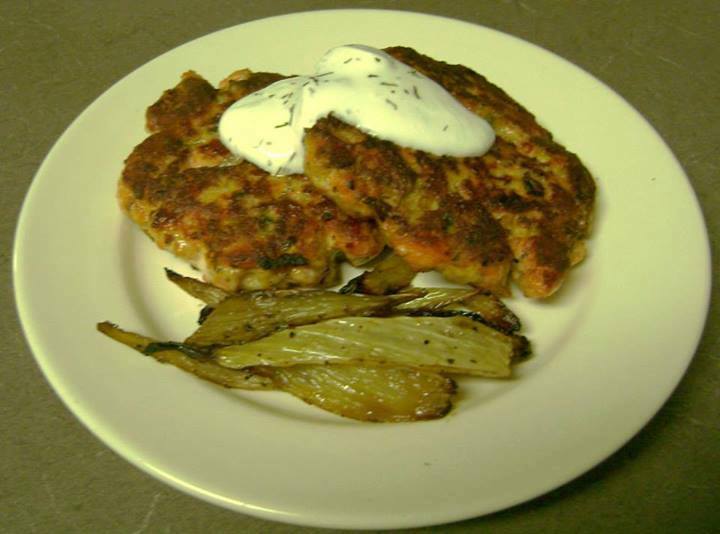 Beautifully formed Salmon Patties with Roasted Fennel. 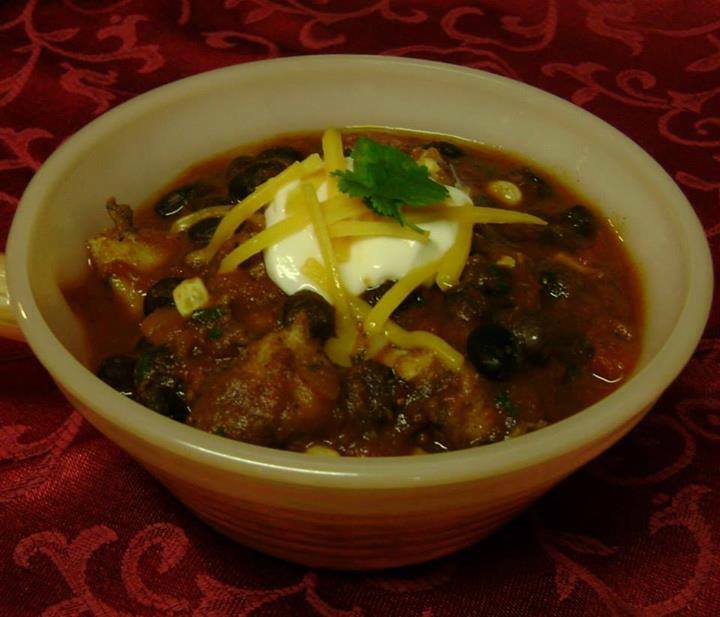 A bowl of tasty Chicken Chili with Black Beans. Would you like any of Rochelle’s recipes to these spectacular dishes? Feel free to contact her at The Unknown Cook. She will be more than happy to help you make any of these dishes for your family tonight! 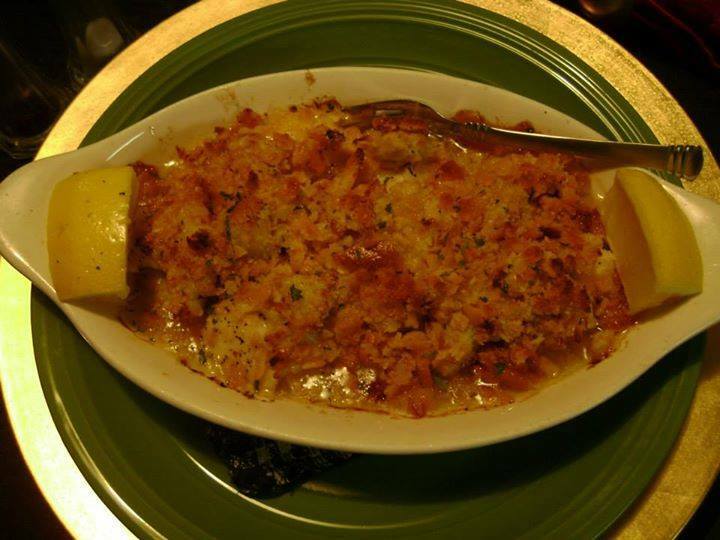 Baked Codfish, Scallops, and Shrimp with a whole-wheat cracker crumb crust. Posted on August 16, 2014, in Uncategorized and tagged articles on cooking, baked salmon, barbecue chicken, bbq chicken, bbq ribs, cheesecake, cheesecake recipe, chicken recipes, cooking, cooking show, curry, dessert recipes, fried fish, grilled fish, how to barbecue ribs, how to ribs, recipes, Rochelle Decosta Edmonds, salads, scallop recipes, scallops, strawberry cheesecake. Bookmark the permalink. Leave a comment.